Outdoor cooking has been my passion since I was young, often choosing to go camping and cook hearty meals rather than stay inside, watch TV and eat take-out. Today I have started Bush Cooking to try and share this passion while preserving and evangelizing the skills of cooking outdoors. 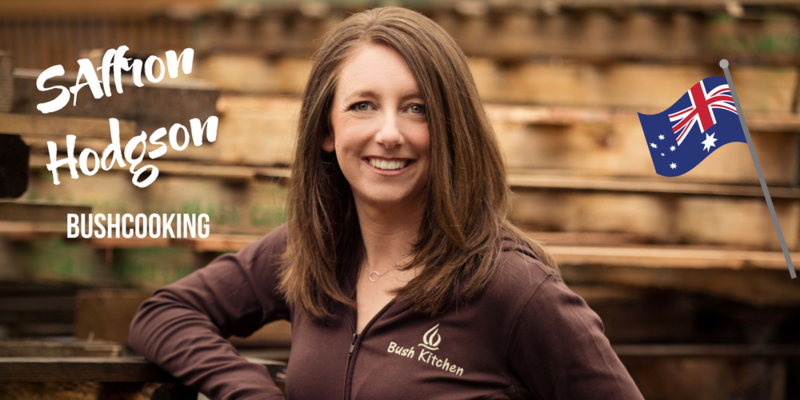 After spending years as a global logistics executive, Saffron decided to “follow her bliss” and pursue her love of the culinary arts and the outdoors on a full-time basis — making the leap from being an occasional barbecue contest competitor to dedicating herself full time to the mission of evangelizing the art, science, and passion of outdoor cooking. Her passion has taken me in several incredible directions. In addition to traveling the world to compete and judge cooking contests, teach classes, and promote the industry, She also had the privilege of managing the Australia & New Zealand site for Allrecipes.com — helping home cooks discover outstanding recipes and proving them with a powerful stream of digital content to improve their talents, results, and confidence in the kitchen. she hopes to bring the same results and confidence to cooks in the areas of live fire cooking, barbecue and generally cooking outdoors.